I was quite surprised. 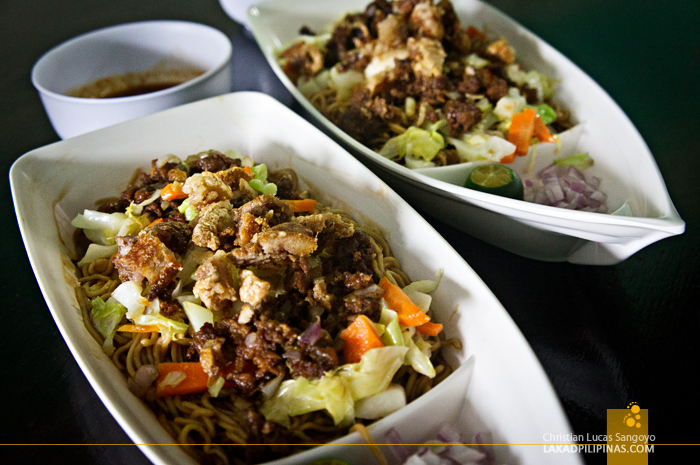 I have never seen Tuguegarao’s famous noodle cuisine, the pancit batil patong, served on swanky boat dishes. The miki and its excess of veggies and carabeef, set on the main part of the dish; the chopped onions, on the prow; and the soup on separate bowls. I was fervently hoping for it to taste as good as it looked. 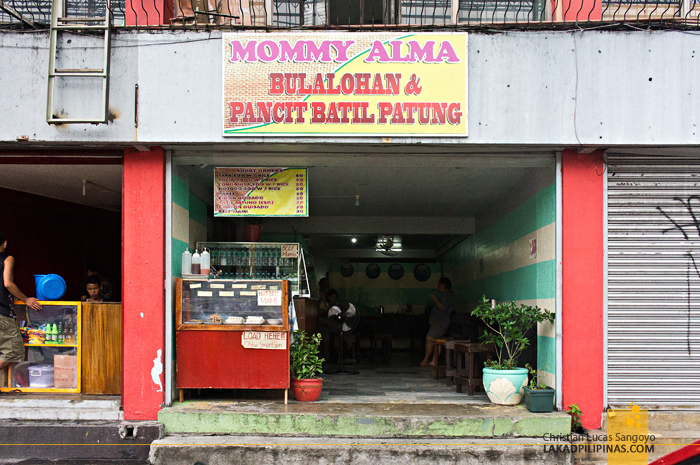 We were at Mommy Alma’s Bulalohan & Pancit Batil Patung place in front of GMA 7. Located on the corner of EDSA and Timog Avenue, it this is probably the most conveniently located batil patong place in Metro Manila. If we find their noodles good, we’d probably be here every time we get the chance to cross EDSA. The eatery is your basic hole-in-the-wall type; air-cooled, wooden stools, some tables and a ledge for quick eats. Besides my favorite northern noodles, they also serve bulalo (as their name suggests) and carinderia-types of dishes like silogs, pares, bihon, canton and mami. Heck, they even have kikiams and squidballs displayed on their display cases. 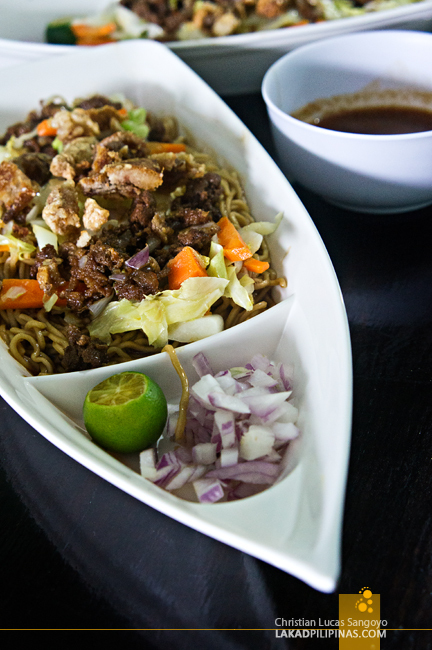 Like most panciterias serving pancit batil patong in Metro Manila, Mommy Alma also uses genuine miki which they buy all the way from Tuguegarao City. 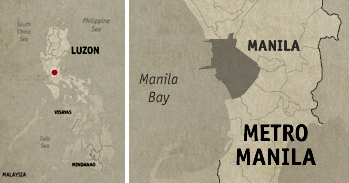 The place is understandably run by Tuguegareños and it’s vicinity to the Victory Liner that runs the Manila-Tuguegarao route is probably no coincidence. We actually saw them drying out one of the freshly delivered batch of miki on one of the tables inside the eatery. Spell legit! 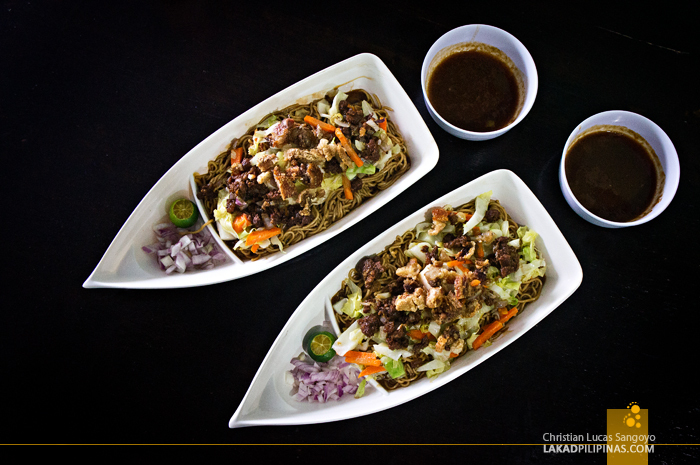 But unlike most panciterias, Mommy Alma serves only a single variant of pancit batil patong, it only comes in Special size, which is actually quite cheap, considering this is their todo or super special equivalent to other panciterias. We ordered two servings and it was slid across our table in a reasonable amount of time. As I previously mentioned, we were totally chagrined that it was served on boat dishes. On first inspection, it does seem to have most of the ingredients that make pancit batil patong what it is; chopped carrots and cabbages, carabeef, poached egg and carajay or crushed lechon kawali pork toppings. What I noticed missing though were the liver bits, hotdogs (which I don’t mind at all) and bean sprouts. BUT, WHERE’S THE LIVER BITS? I started off with their batil or egg drop noodles and actually liked it, although my pancit buddy found it too vetsin-y for her taste. I also found the noodles to be good, but weird. Weird in a sense that it actually tastes superb, but it doesn’t taste as a pancit batil patong should taste, but more like a pancit canton. It might be the lack of liver bits, which we were told was intentional since the owner really didn’t dig the taste of liver. 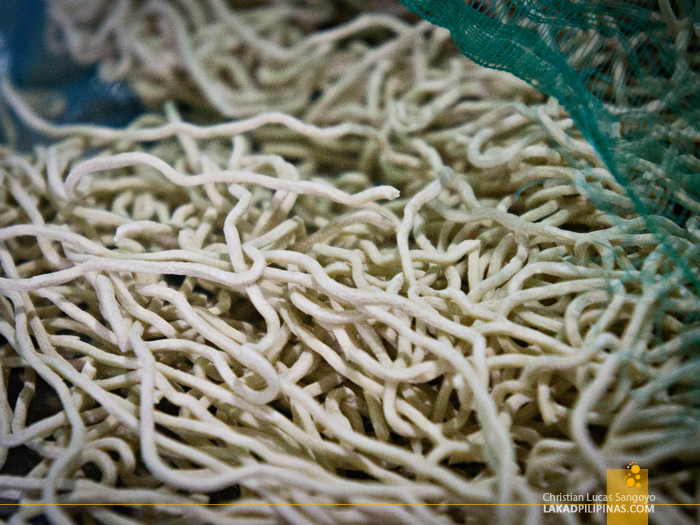 Unfortunately, that might just be the crucial ingredient that makes a pancit batil patong carry its own distinctive taste. 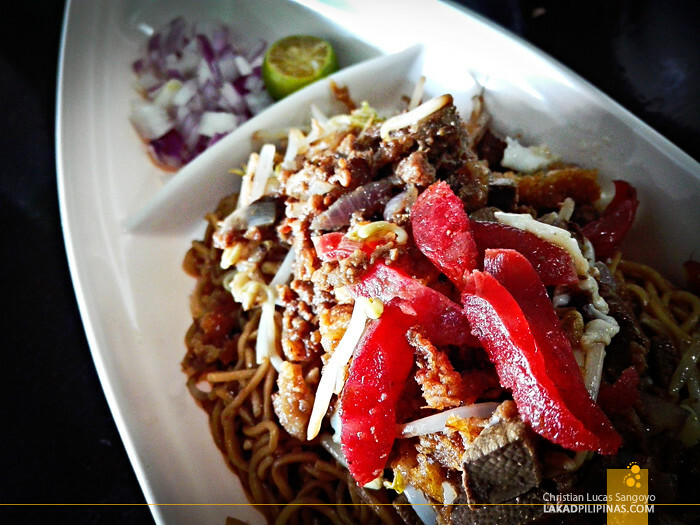 If you’ve tried Jomar’s panciteria in Tuguegarao, you would definitely know what I mean. But I’m not giving up; it just might be this one time. I’ll try and drop by Mommy Alma’s again one of these days and give an update. FINALLY, WITH LIVER AND CHORIZO! 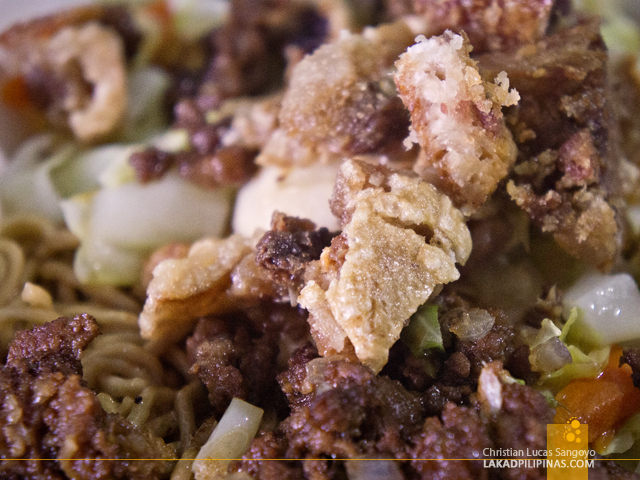 I recently came back to Mommy Alma’s Pancit Batil Patong along EDSA after a receiving a message from their Facebook account that they’re now serving my favorite northern noodle dish with liver and chorizo. I was quite curious if their dish would now taste as good as those in Tuguegarao after adding these two essential ingredients that’s usually found on the original ones from where it hailed from. The panciteria looked the same as during our previous visit and so were their servings of pancit batil patong. This time though, even on my first forkful of their noodles, I was transported back to Tuguegarao. Finally! The pancit canton taste was now transformed into a legit pancit batil patong flavor. Good job Mommy Alma’s!